From day one, Max & Harvey's refreshingly fun and authentic sound has connected with fans across the globe. The 16-year-old Berkshire based twin brothers have been singing and playing instruments from an early age. They came to prominence three years ago, posting covers of their favorite songs, as well as their own original songs, on their social media platforms. Now with almost 6M followers on TikTok and over 1M followers on Instagram, the boys, who are signed to RMI Recordings in partnership with Disney Music Group/Hollywood Records and Polydor in the UK, are focusing on their music. Their latest original song “Trade Hearts” off of their debut EP Coming Soon is available worldwide. Max & Harvey released their first book “MAX AND HARVEY (IN A BOOK),” and a BBC documentary “MAX AND HARVEY (IN A SHOW)” in conjunction with their book, both are out now. In 2018, they won their first award for “Favorite Social Music Artist” at the Radio Disney Music Awards and were nominated for “Social Star” at the iHeartRadio Awards. 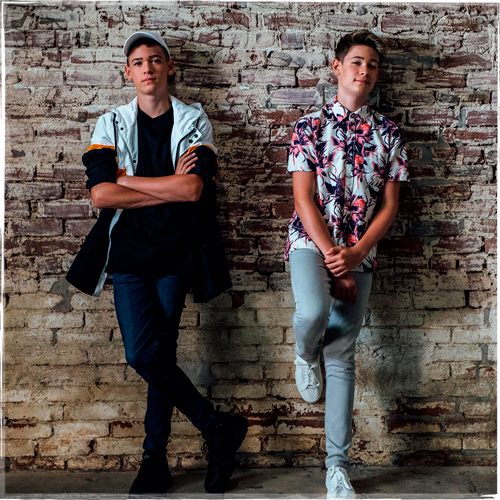 Max & Harvey will headline a European tour in support of their EP in April 2019.